Doors are what set your home and business apart. With thousands of standard choices and the ability to create one-of-a-kind custom doors, you'll find options at Withers Lumber to suit both your taste and your budget. 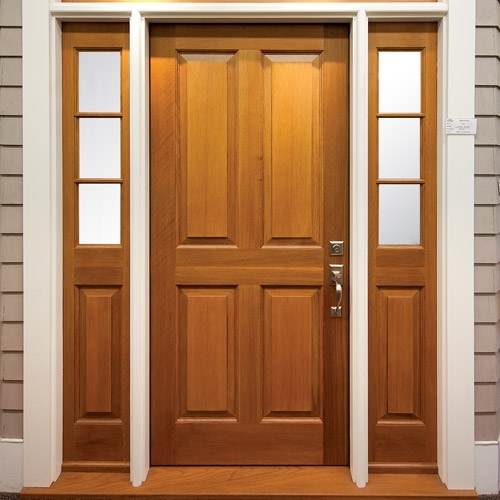 Looking for handcrafted wood doors or fabulous fiberglass doors to make a grand entrance? Or need vinyl patio doors or storm doors? Whether you want to let the light in with transoms and sidelights, or block access with a secure steel door, we can help you find the interior and exterior styles that meet your needs. From room to room and inside to out, your coming and going is through doors, so they might as well be attractive, affordable and practical all at the same time. Click on the supplier and manufacturer logos below to visit their web site.